A cocktail of fun poems about small garden creatures and their colour portraits. 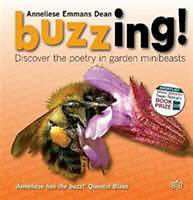 Anneliese's extraordinary insights and talent bring to life the world of minibeasts that crawl and fly about us. Enjoy her sense of fun and wit, as revealed in her remarkable verse.